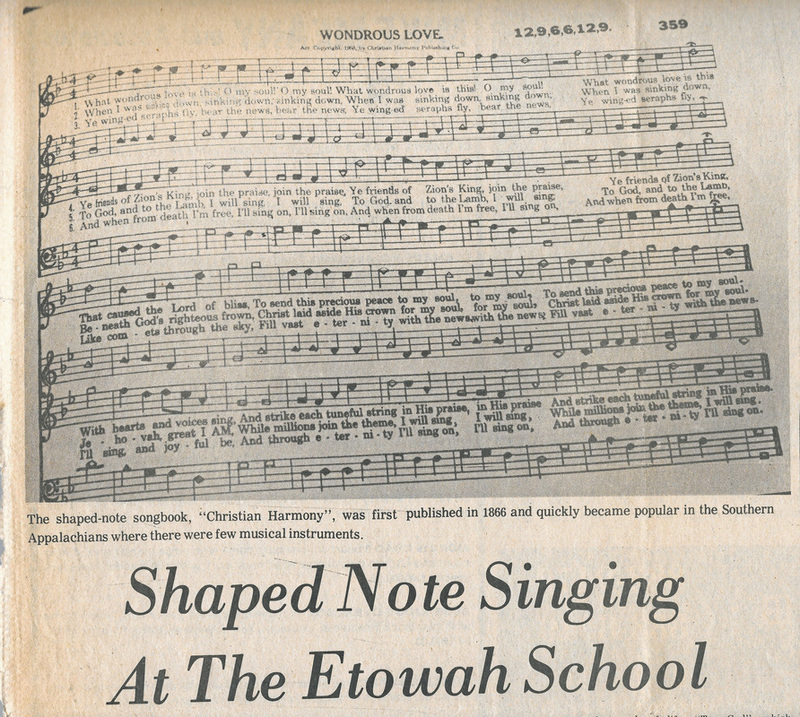 "The Follies" & "Matilda's Folly"
"Since 1909, singers have brought their shaped note songbooks, picnic baskets and tales of good times to the all day sings at Etowah. 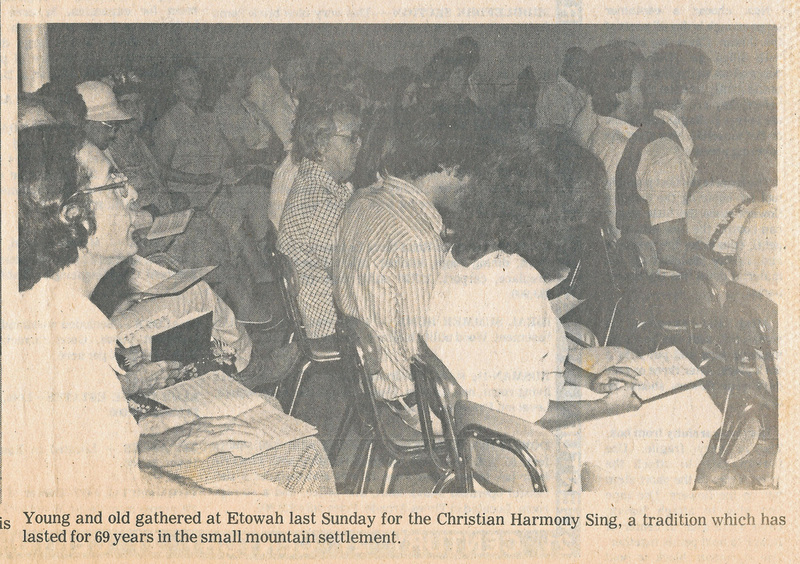 The gatherings held each May and September, used to meet at the Methodist Church. Now the singings are held at the school house, . 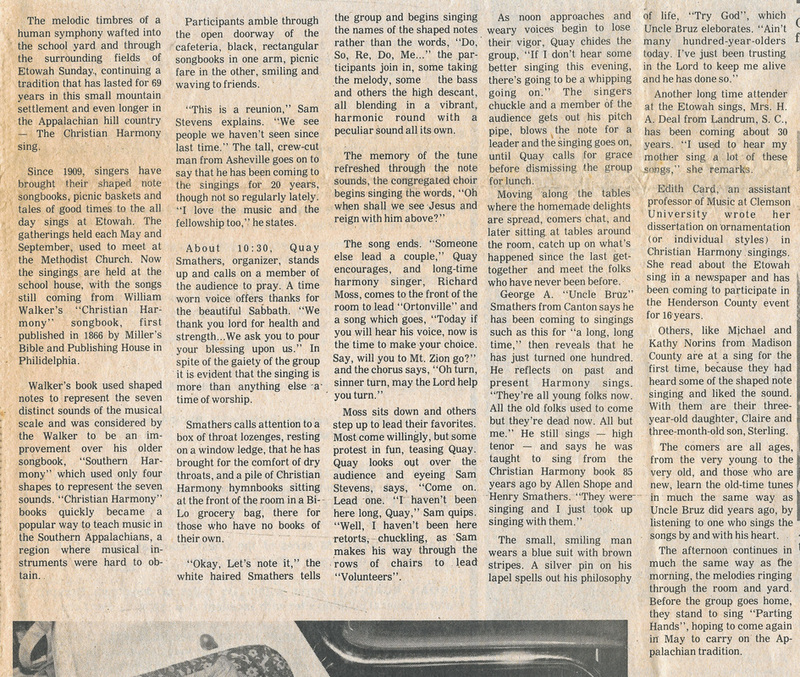 . ."
Read more in the 1978 article below, published in The Transylvania Times. Photos and text by Keena Lowe. SHAPE NOTES, the digital heritage project of Western Carolina University. "Shape notes were invented in the late 18th century to simplify teaching people to sight-read unaccompanied sacred musical scores. They were called shape notes because, instead of drawing all of the music scale’s seven notes with round shapes, each note was represented by either a triangle, square, oval, or diamond shape, called fa, sol, la, or mi, depending on its position in the scale. Singers usually perform in four-part harmony — alto, tenor, treble, and bass — unaccompanied by instruments."